﻿Surprise and Friendship Decks In! Amazing screen printed graphics by a skaterowned company. Andrew Cruz is the winner of our first Monthly “Skater Spotlight”. We will be choosing two local skaters a month to spotlight. 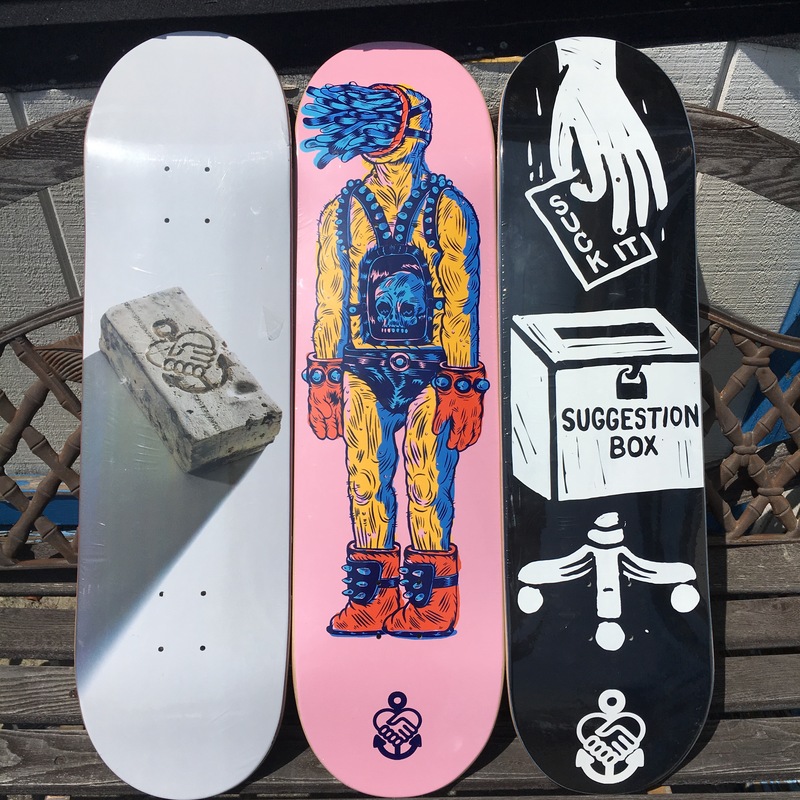 The chosen skater wins a shop deck and Tee. Plus we will film 15-20 Seconds of footy and post an interview of that chosen skater on our website. Simply email or go to our Instagram and use #undergroundskatesupply on your video post or tag someone you think deserves it. Stocked up on FP insoles . These will save your knees and allow you to skate all day and not get sore the next day. All sizes and styles in stock. Come out and be a part of the design to get a rad skate park.